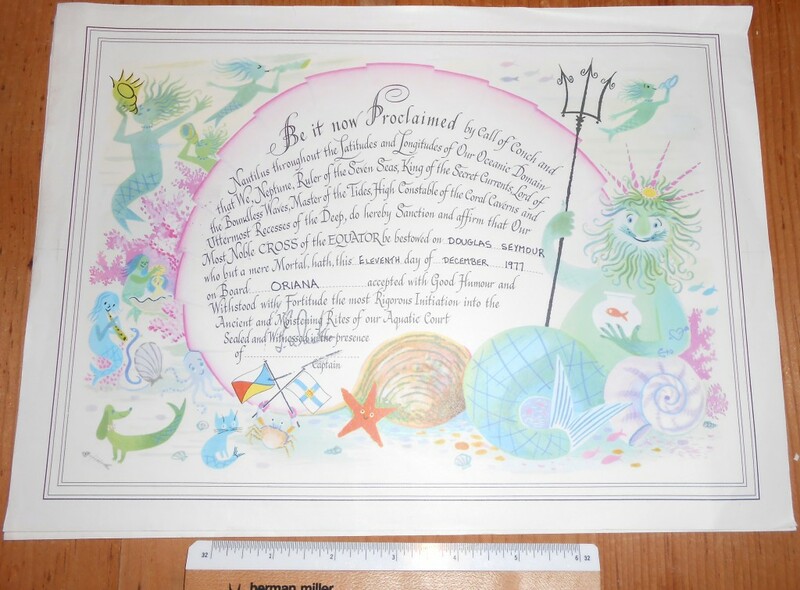 Nice December 1977 equator crossing cert. Nice cartoony underwater graphics .. love the smiling starfishy and merpeople and merpets. King Neptune rules with his trident! Some edge wear ... but overall nice!